Yes, it is true, not many people follow my example, in spite the fact that in addition to being fun, traveling seems to be a good medicine against all kind of ailments. How it works? Most probably the body mobilizes all its internal resources in order for survival and crushes all sort of diseases on the way. You may have heard stories about people who get cured from their diseases when they were put in extreme physical conditions, like prison camps, halting place, or boot camp. So, if you did not get sent to prison yet, it is very good for your health to make an imitation of it, and go to the difficult backpacking trip. West Africa which I visited recently is best place in this sense. Everybody looses weight in West Africa. India is good too. Returning to subject of my past birthday, I would like to thank everybody who sent me presents. 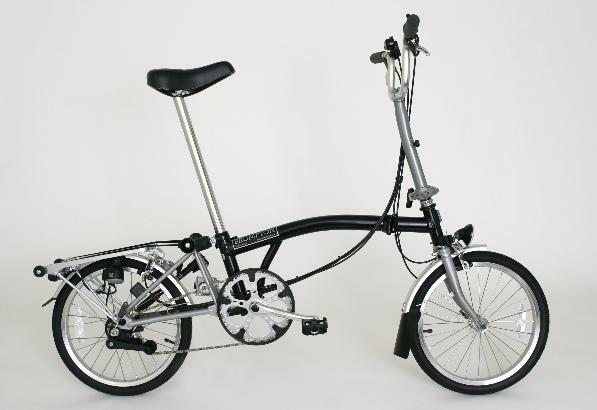 Thanks to your contributions and generous discount given by Brompton dealer Channell Wasson (www.foldabikes.com) I ordered latest Brompton bicycle, see picture. I am in Sankt Petersburg, Russia. 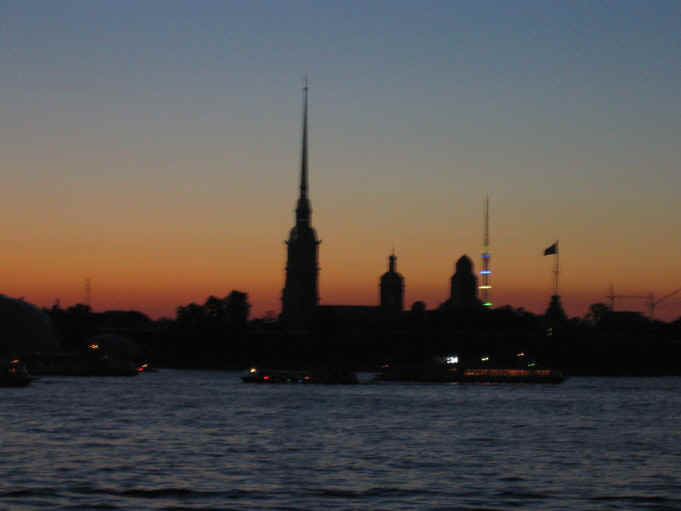 White nights are as beautiful as always. 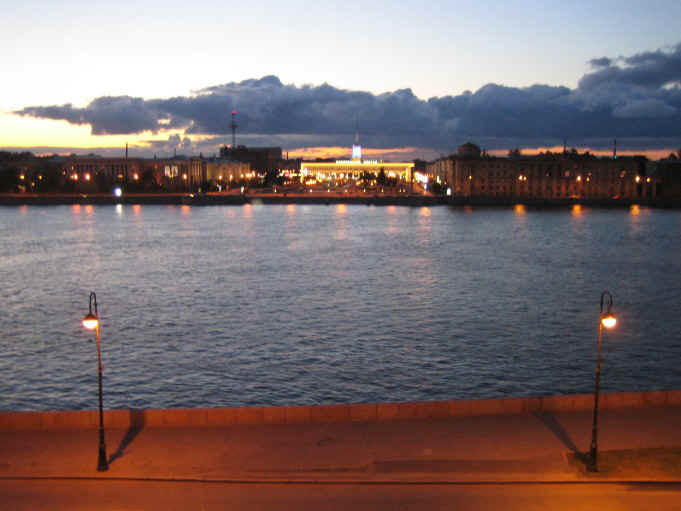 However, the city of my childhood, old Leningrad, is disappearing quickly. 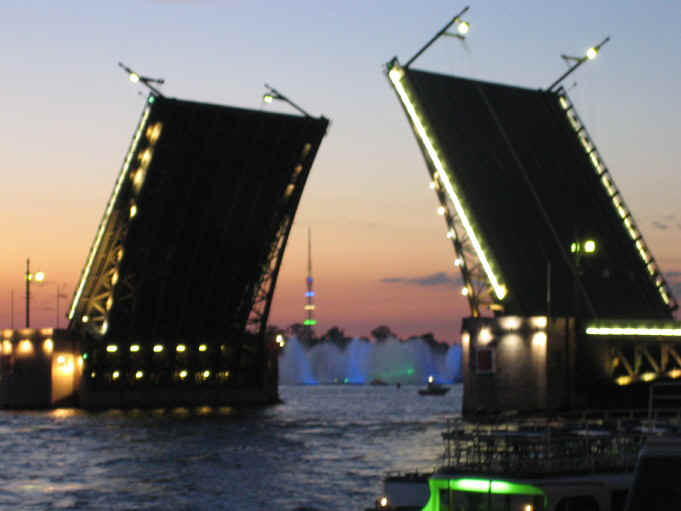 Big money given to city by Putin is changing face of the town. Old dilapidated buildings replaced by new shiny "business centers" from glass and concrete. Zabegalovkis (cheap restaurants) replaced by chic boutiques and expensive, but mostly empty, restaurants. Petersburg is following an example of Moscow in this sense. I used to like Moscow, but now try to avoid it as much as possible. Tomorrow I will go on trip through Russian North. I will start from Kargopol, 150 km East of Onega lake. 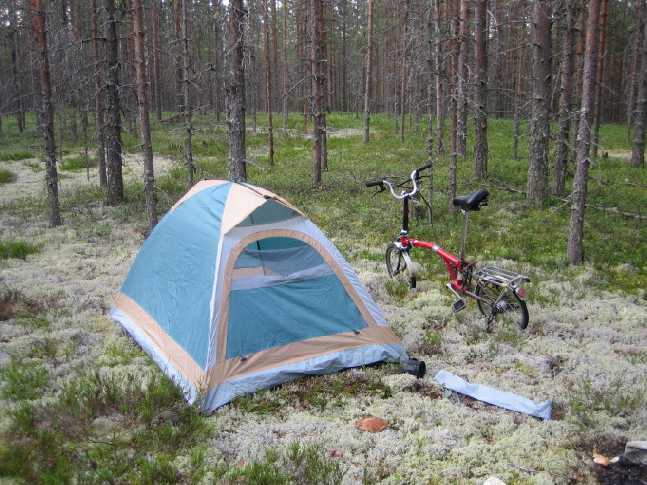 I will travel by bike first to Onega lake and then to Ladoga lake. I plan to return to Petersburg July 20. I finished my trip to Northern Russia. 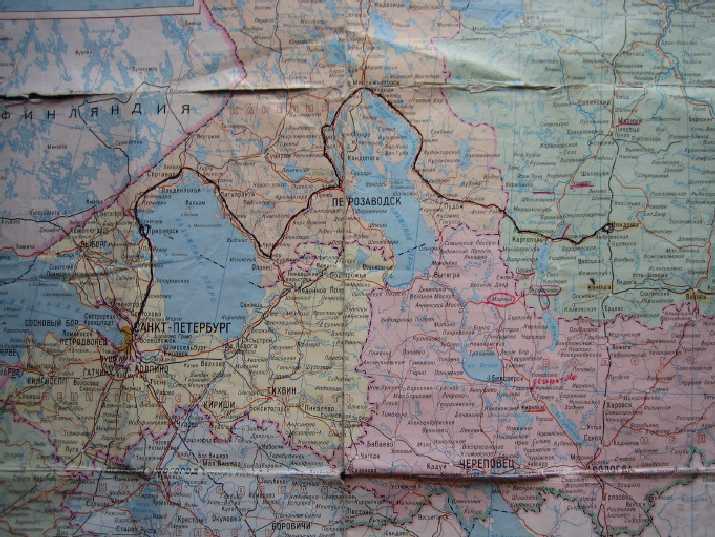 I started from rail road station Njandoma on the road to Archangel and finished in Saint Petersburg, see map. 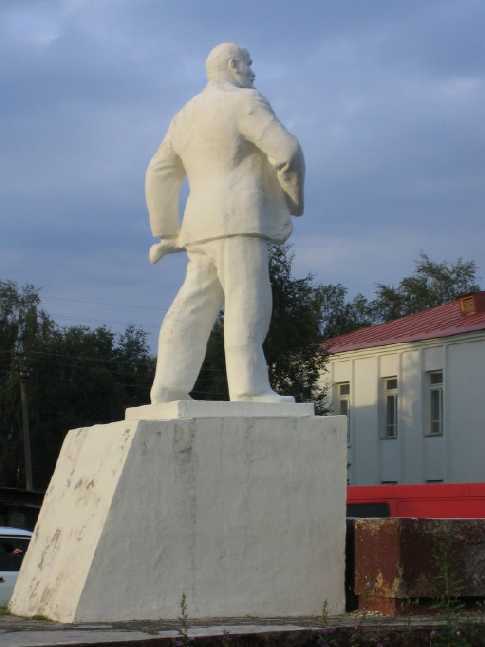 I went through towns of Kargopol, Pudozh, Medvezhegorsk, Petrozavodsk, Olonets and Sortavala, and had a chance to see how Russian province is doing now. Main purpose of my trip was to see Kargopol. Kargoplol is best place to see old wooden Russia. Most buildings in town are huge old wooden structures in different degrees of decay. 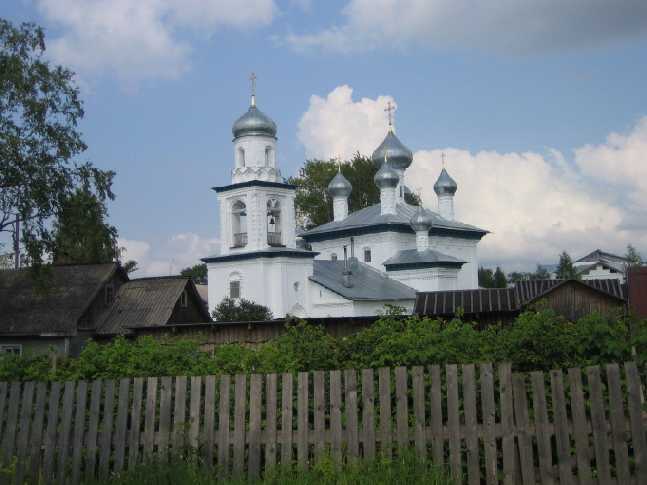 I took two, one day long tours to nearby villages Oshivensk and B.Liadini. Tours were very good. If some of you will go to Kargopol I would recommend travel agency "Lache" (www.lache.kargopol.ru) and its manager Radik. 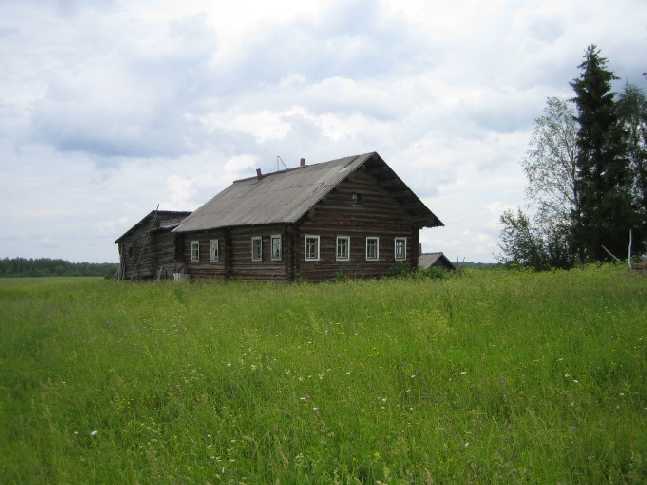 He also can arrange home stay with local people for 250 rubles per night ($10). Russian province is in the process of transformation. Small villages are abandoned or half abandoned. If authority close food store or stop maintaining road, then local people have no other chance than move out. Small towns are in better shape. It is not clear where people get money, but everybody has enough money for beer bottle, which every man and many women carry with them all the time. Everybody, from infants to elders also carry cell phones. In Stalin's time peasant will be sent to prison for harvesting grass for his cow in collective farm field.Now huge fields of grass stand untouched. People prefer to buy milk product in stores. Nobody has livestock. Obviously oil money found their way into the pockets of ordinary citizens. As a result they forget how to make money by themselves. I did not have enough information about road condition and even roads existence in advance. It turned out, the route I selected had a good roads with little traffic. It went mostly through nice pine and spruce forest, where I camped. So it was quite nice route for bicycle travel. Towns which I mentioned in the beginning, all have inexpensive ($10-15) soviet style hotels, half empty. There are also few small new Western style hotels, with Western price. I rode along NE shore of Onega lake and NE shore of Ladoga lake. It is interesting that on Onega shore it was a lot of mosquitoes and gadflies, on Ladoga almost non. Area between North shore of Ladoga lake and Finland boarder was a prohibited border zone for 70 years. Now it is open according to new law from FSB published Apr 11. 2007. 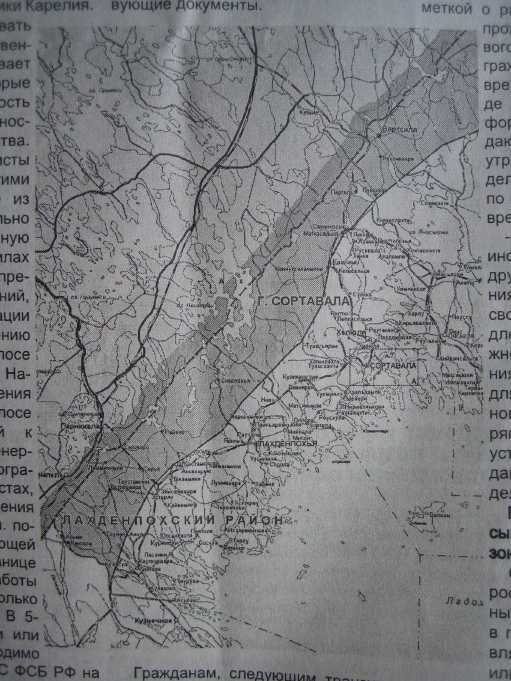 Attached is map of new border zone from Sortavala local newspaper. New border zone is only 5 km wide strict zone, and 15 km less strict zone. As a result of fiercely enforced border controls, the nature in former restricted area is saved much better. Actually it is magnificent. So nature lovers, rush there, while it lasts. It will not last long. It will disappear as soon as developers will learn about it. 1. Map of my trip.